Rabbit is hiding from danger. He shelters in a tree, in a field, in a barn, meeting various farm animals and birds on the way. He gives his helpers clues, but it isn't until the final pages that his pursuer is revealed as a fox. 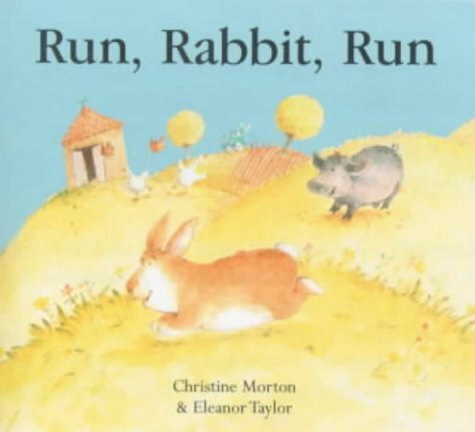 Very young children will enjoy the build up of suspense, and guessing from what Rabbit is fleeing. The prose builds tension nicely, and the watercolour illustrations have a suitably pastoral air. There is, however, a feeling that this book is going where others have gone before, not unusually at a time when there is a plethora of picture books on the market, and they can't all be highly original.